I miss my Bianchi San Jose. It’s true that a person could easily get by with one bike – most people in the world do just that. If I only was going to have one bike it’d be a nice mountain bike – because it could be ridden in all conditions, four seasons, on or off road, and it’s usually a comfortable ride. But I’m a typical middle aged (employed) male cyclist – I have three bikes – a mountain bike, a road bike, and a cross bike. Okay – I‘ll admit it – I actually have four bikes. My fourth bike is my “legacy” bike – the first fine bike I ever owned that I had to save up for about a year as a poor graduate student – my 1981 Trek 930 Sport Touring road bike with the Columbus tubing and the mix of Campy and Sun-tour components. I haven’t ridden it in nearly twenty years but I just can’t part with it – we had so many incredible road rides back in the eighties! 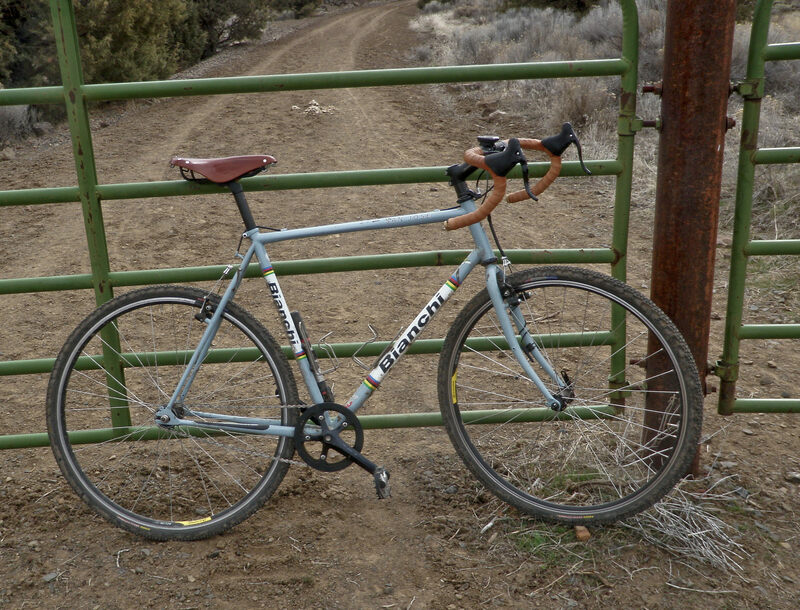 My old bike is actually featured on the Vintage Trek website. 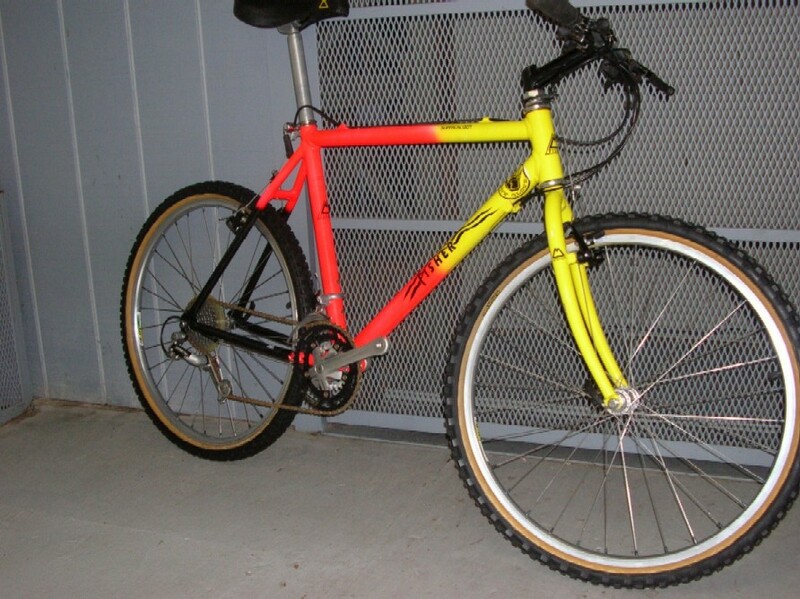 Alright – full disclosure – I still have the frame and (non-suspension) fork from my 1990 Fischer Supercaliber – still my favorite mountain bike of the several I’ve owned for the past thirty years. But out of the three bikes I actually ride the most frequently ridden is my full suspension cross country 29er mountain bike – a real beast built for the clydesdale that I am. I also have a carbon Giant Defy (their knock off of the Specialized Roubaix) that I bought as a retired rental fleet bike from the local bike shop. Yes – I know that you’re never supposed to buy a used, god forbid a former rental fleet carbon framed bike – but the extra large sizes are so infrequently rented that it had very few miles on it. 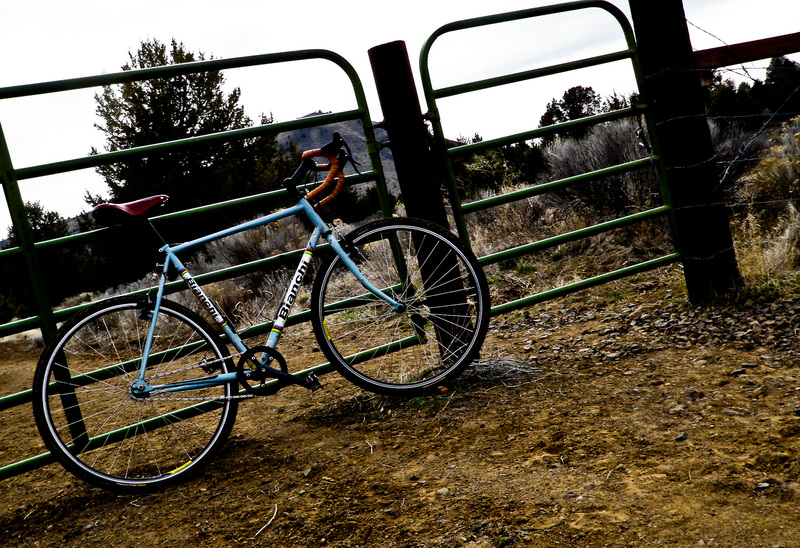 But my Bianchi San Jose is the one that was a casualty of my atrial fibrillation (AF). A single speed cross bike – perfect for cruising on our local Rails to Trails (OC&E and Woods Line State Trail) geared perfectly for the relatively flat trail (Trains can only handle so much steepness – no more that a 2% grade) and because it was a cross bike it was ideal for the nine miles that are paved as well as the ninety unpaved miles. Although it’s a single speed it had brakes – it wasn’t quite a hipster messenger fixy. I think those things are nuts – especially now that I’m anti-coagulated. If you’ve never ridden a single speed – give one a try – a very smooth and quiet ride. My San Jose was a little tricked out. I upgraded the tires to a more aggressive set, and I had a beautiful Brooks Saddle (which I kept) and some matching but really over-priced Brooks leather handle bar tape. That bike just had a terrific look and feel – the most comfortable bike I’ve ever had. I could ride in the drop position for a long time without getting sore. But regrettably as my AF got worse and the medications were going up to higher dosages (Thanks, Carvedilol!) I could no longer ride it up to the hill to our house. It isn’t the biggest or steepest hill in the neighborhood (we live in the mountains, after all) but it is about a 250 foot climb in about three quarters of a mile (75 meters in 1.2 kilometers). It never was an easy climb on the single speed, but currently it is impossible for me. To be honest I never was a good single speed cyclist. I’ve always had a fast cadence and used a lower gear, and I tend to shift constantly maintaining an even power output. I’ve ridden with guys who just stay in the higher gears and grind – not my style. It was always a challenge getting up that hill in the single 42/17 gear. I considered getting an after market three speed hub for the back but that would be too dorky. I still rode it on the bike trail but I’d have to drive to the trailhead schlepping the bike on my truck’s bike rack. 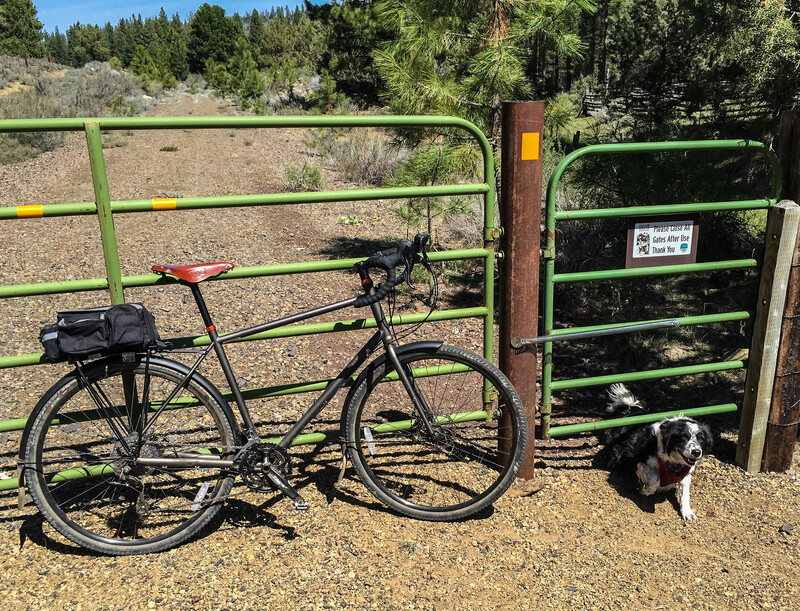 Eventually I traded it in at the bike shop when I bought my most recent bike – a Specialized AWOL – sort of a gravel grinder meets full touring bike. 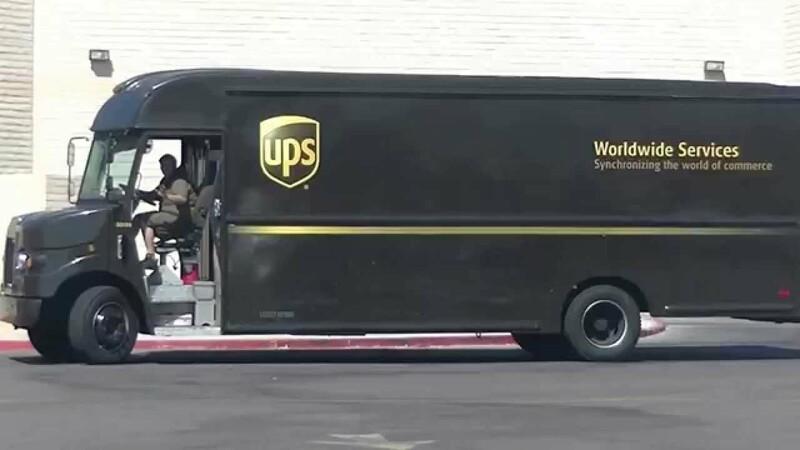 I like the AWOL well enough, and ride it frequently; but compared to the light, sporty, cool looking San Jose the big, clunky, awkward looking AWOL seems more like riding around in a UPS delivery truck. Oh well – life changes as you go – I’m grateful to still be riding. Please feel free to share your comments. This entry was posted in Uncategorized and tagged a fib, athletes, atrial fibrillation, awol, beta blocker, bianchi, bianchi san jose, bicycling, blog, brooks saddle, cross bike, giant anthem, giant defy, gravel grinder, heart, Heart disease, hill, mountain biking, OC&E, rail trail, rails to trails, san jose, single speed, specialized awol, trail by michaelpmccullough. Bookmark the permalink.